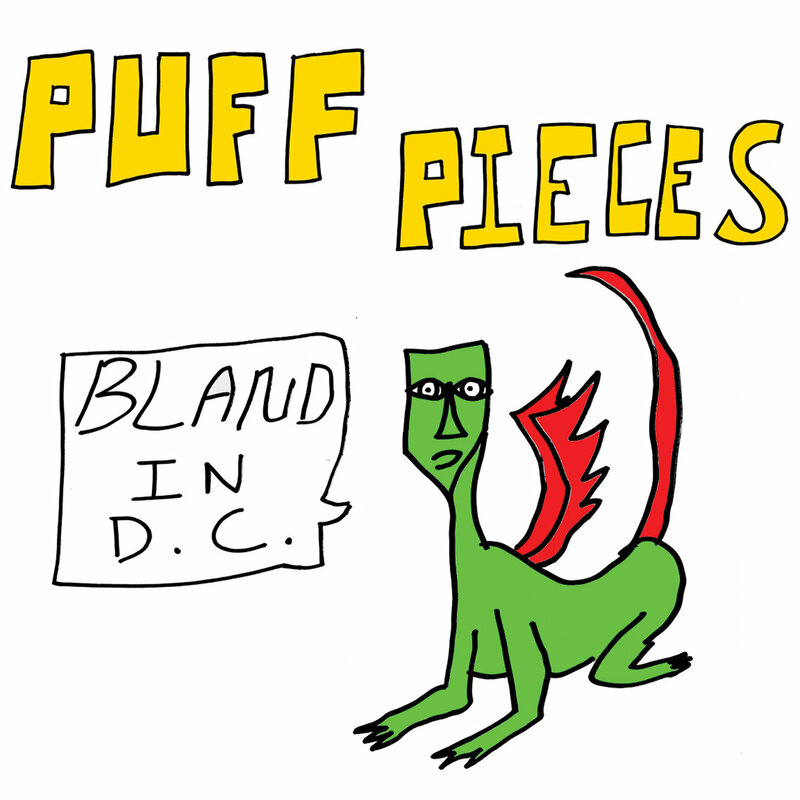 Puff Pieces are anything but what their band name might lead you to believe. 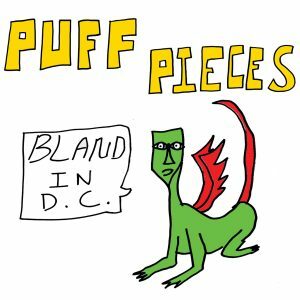 They’ve compiled 11 songs for their latest release, Bland in DC, with each providing listeners with a message. You needn’t look further than some of the titles like “March of the Idiots” or “Money” to see where they take aim. 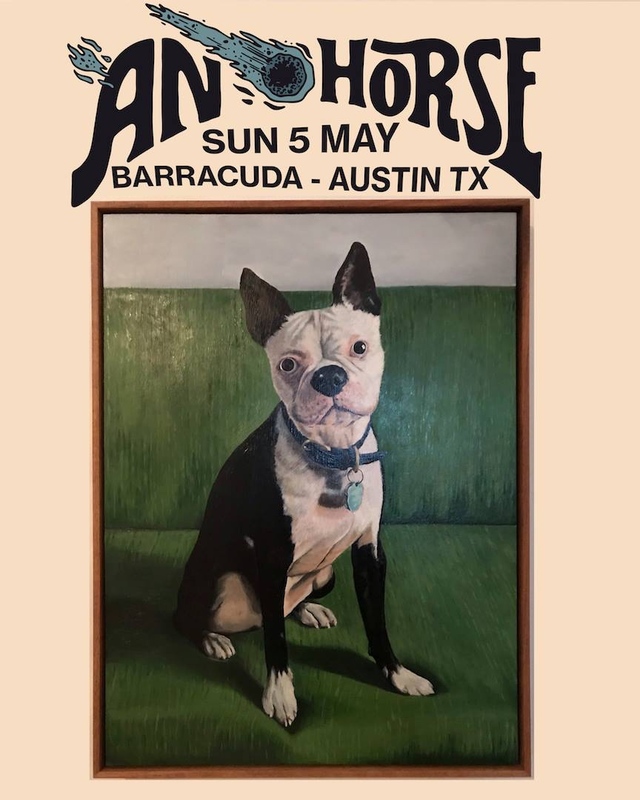 But, in order for the record and the message to completely endear itself to the audience, the band has to supply the musicality to make it last…and boy do they. “Wanna No” kicks off the album in a jittery, proto-punk fashion while the vocals are drawn out across the tune, seemingly working against the heart of the track. Emphasis is given by backing vocals sporadically shouted from the distance. Staying long isn’t the band’s cup of tea on Bland in DC, as they bounce right into the next track, and so on and so forth until the end. At times, it almost feels like you’re falling off the tracks or racing towards the finish line, such as on tracks like “Wondrous Flowers;” it’s remarkable how quickly and flawlessly the rhythm section moves throughout. Yet while the group definitely has a signature sound they’re pushing, they also open up the chords for a more traditional approach on tracks like “Pointless People,” which again takes on a furious pace that would likely have normal humans rushing to catch their breath. All in all, I found the record really enjoyable, but I can see detractors proclaiming that it’s too one-note. On the surface, sure, but those of you looking for energetic, yet artful, punk with a message will find a happy home with Puff Pieces.